This Sunday Naas Racecourse will unveil their new Feature Building, ‘The Circle’ which was created as part of a €3.2 million HRI Capital Development Scheme that commenced last year. The innovative cylindrical design, located between the parade ring and grandstand, allows for greater vantage points for the general racing public and Owners & Trainers alike. 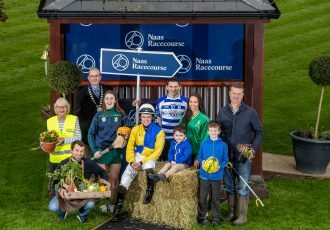 The cutting of the ribbon will take place at 12:30pm and Naas Racecourse invite all racegoers to be part of the celebration. The ground floor of the building, ‘The Circle Bar’ is a Sports Bar open to all racegoers and the Owners & Trainers Lounge is located on the first floor. As an appreciation to Owners and to thank them for their contribution to the industry, we are offering two complimentary meal vouchers to Owners that have a runner on the raceday. Some Cheltenham Festival pointers could be found on the track as Champion Hurdle entry Arcenfete is set to make his Irish debut for trainer Henry De Bromhead in the Grade 3 Limestone Lad Hurdle. The six-year-old will face a field of seven rivals for his first run since being purchased by Gigginstown House Stud who are also represented in the race by Gordon Elliott’s Duca De Thaix with Elliott saddling the JP McManus-owned Destin D’ajonc as well. Willie Mullins will also unleash a promising French recruit as Dolciano Dici is set to make his debut for the champion trainer having previously won a hurdle race in France and Mullins is represented by Sandsend in the race also. Michael Mulvany’s stable star On The Go Again will bid to make it five wins on the bounce when taking his chance and a stellar line up is completed by the highly rated mare Forge Meadow for Jessica Harrington and the Dermot Weld-trained Tandem. De Bromhead said; “The Limestone Lad Hurdle is the first real opportunity for Arcenfete as he’s not a novice and doesn’t have a handicap mark so we are looking forward to getting him started. His form would suggest he seems okay on the ground but it is his first run for nearly two years so we’ll just see how he gets on and we should learn more after Sunday.” Grade 1 runner-up Jury Duty heads the field for the Grade 3 Woodlands Park 100 Club Novice Chase. Gordon Elliott’s talented seven-year-old just went down to stable companion Shattered Love at Leopardstown but will bid to return to winning ways when taking on four rivals including his stable companion Mossback also in the line up. 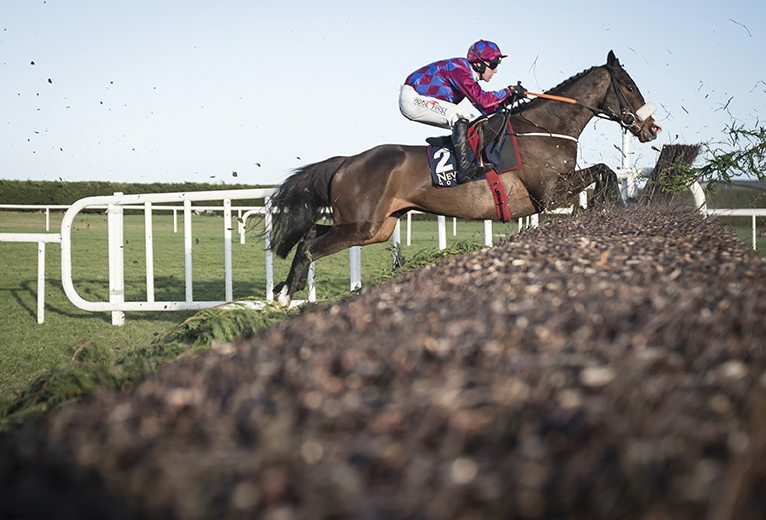 The Willie Mullins-trained Livelovelaugh and Noel Meade’s highly rated Moulin A Vent will also take their place in the novice chase with De Danu’s Bach completing the field in a race that has produced some notable winners in recent years. Elliott said; “Jury Duty ran well at Leopardstown and the Naas race looks a suitable place to go with him now. 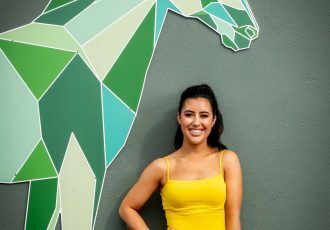 He’s a horse that has improved throughout the season and the trip and the ground shouldn't be an issue for him so hopefully he’ll give a good account of himself again.” The new brand identity will also be unveiled in the lead up to this Sunday’s grand opening. The Naas Racecourse symbol seen above takes inspiration from the ancient meeting places of Stone Age, Megalithic & Celtic Kings, together with todays Naas Racecourse. The first of a seven race card begins at 1.20pm on Sunday and admission tickets are €15 including a €5 TOTE bet. Click HERE to see declared runners. For further information contact Naas Racecourse Sales & Marketing Manager Jackie Donohoe on 045 897391 or email [email protected].